Almost two weeks ago, on our California trip, we passed by Castroville, CA which proclaims itself the “Artichoke Center of the World”, and I had to stop to take pictures. California produces all of the artichokes in the United States, with Monterey county, where Castroville is located, accounting for 80% of that. 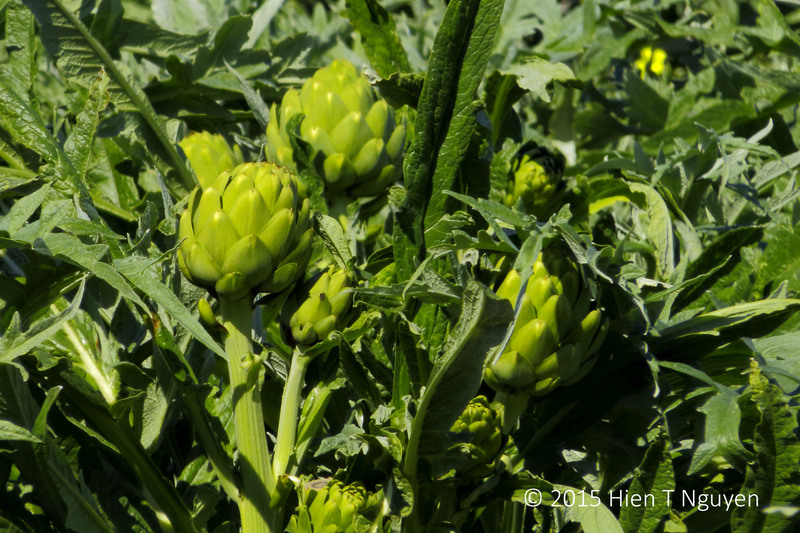 I am told that artichoke plants like the fog that comes almost on a daily basis to this part of Northern California. 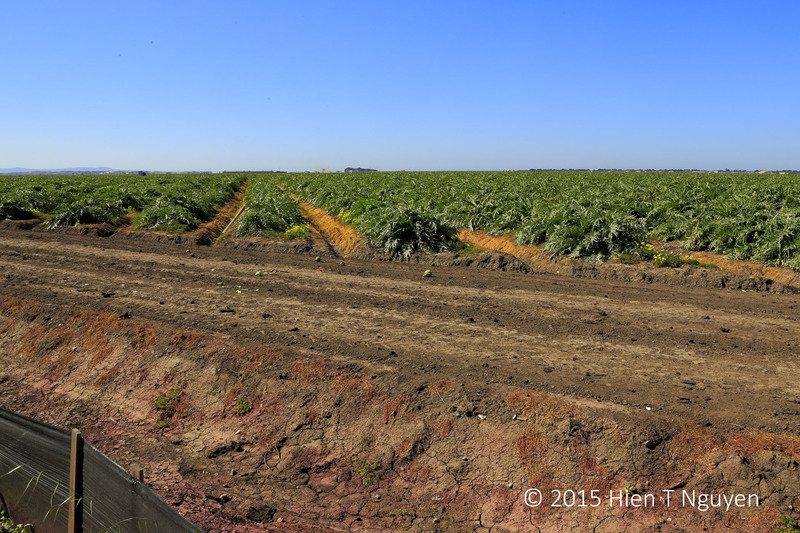 Artichoke field in Castroville, CA. I ran out of time and could not go visit Salinas, John Steinbeck’s hometown. Thanks for stopping by and commenting, Mélanie. 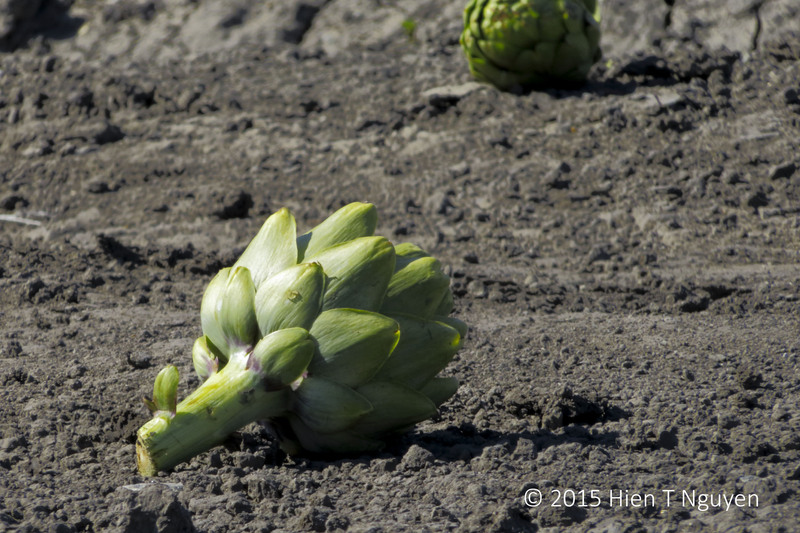 M-R, when I drove through the area, both sides of the road were covered with artichoke fields. The US only production is only about 15% of Italy’s, but it is all concentrated around Castroville.